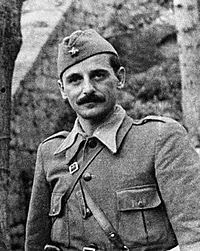 The breakthrough of the 1st Proletarian Brigade, led by Koca Popovic, through the German encirclement is known as The Igman March. This breakthrough was made at the night of 27th January 1942 via the Sarajevo Field and Igman Mountain. 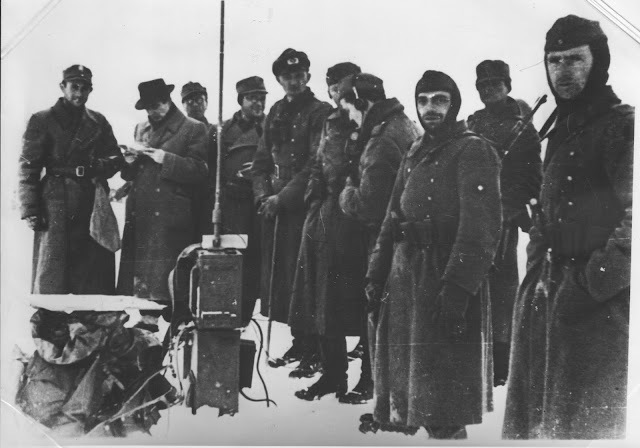 The German and Ustasha forces have launched an operation called „Southern Croatia“ in Eastern Bosnia in mid-January 1942. 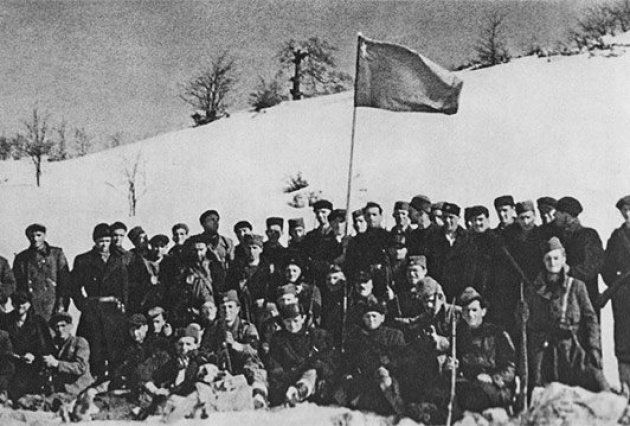 Operation „Southern Croatia“ had an objective to surround and destroy the 1st Proletarian Brigade. The Germans have engaged the following forces: 342nd and 718th Infantry Division, 1st Battalion of the 714th Infantry Division, 7th Ustasha Domobran's battalion, six howitzer batteries, two Pioneer detachments, and two reconnaissance squadrons. On the other side, the Partisan unit was comprised of the 1st Proletarian Brigade, Romanija detachment, Ozren detachment, and Zvijezda detachment. At the beginning of the operation, the Germans have realized their plan with fast maneuvers. They managed to encircle the Partisan units. 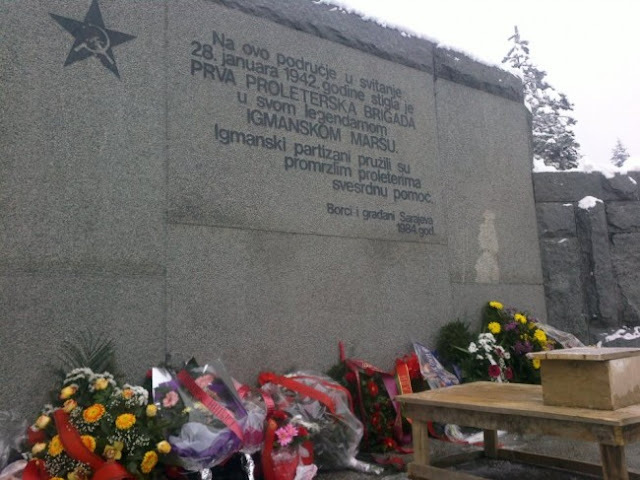 Two battalions of the 1st Proleterian Brigade suffered heavy losses on Pjenovac and Bijele Vode on January 25th. After these defeats, headquarters of the 1st Proleterian Brigade decided to leave the Romanija Mountain and get away from the encircle. Direction of the withdrawal was through Sarajevo and Igman. In this direction, the 1st Proletarian Brigade had to cross the main roads which were leading to Sarajevo several times. Prior to the departure, they held a consultation on how to protect from the cold and frost. Soldiers and wounded dressed the warmest clothes and shoes. The shoes were anointed with the fat of the sheep. Soldiers had to remove the bolt from the rifle and put it in their pockets. Grouping and preparing for the longest stage of the March was made on January 26th. The March began the following day, on January 27th. They have passed the first obstacle at Josanica, beside the warehouse which was guarded by the unit of Domobrans (Home Guardsmen). That night, besides the German forces, the greatest enemies for the soldiers of the 1st Proletarian Brigade were slow moving and wet feet falling into the stream. The hardest part was to climb onto the Igman Mountain. The column slowly moved up the hill in deep snow, and the temperature was around -30 degrees. Soldiers were getting more and more exhausted and hypothermic. They started to fall asleep and hallucinate. The column had reached the mountain house on Malo polje on Igman in the morning on January 28th, at 10 a.m. Although those were small houses, the soldiers found shelter from the frost, and frostbitten soldiers have been given the first aid. Those soldiers who were able to walk immediately headed to the village Presjenica. 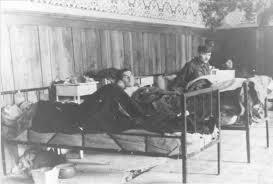 After the Igman March, many soldiers became invalid. 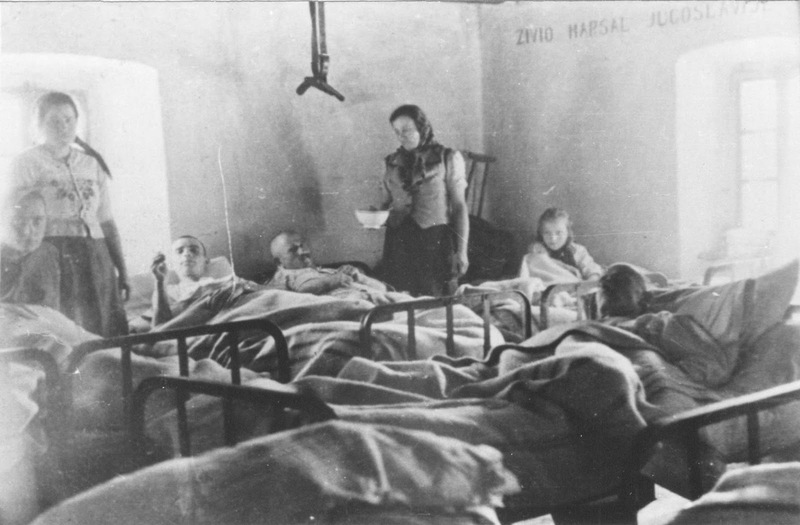 Many have lost fingers due to frostbite, while legs were amputed to some soldiers – but they managed to reach free territory. 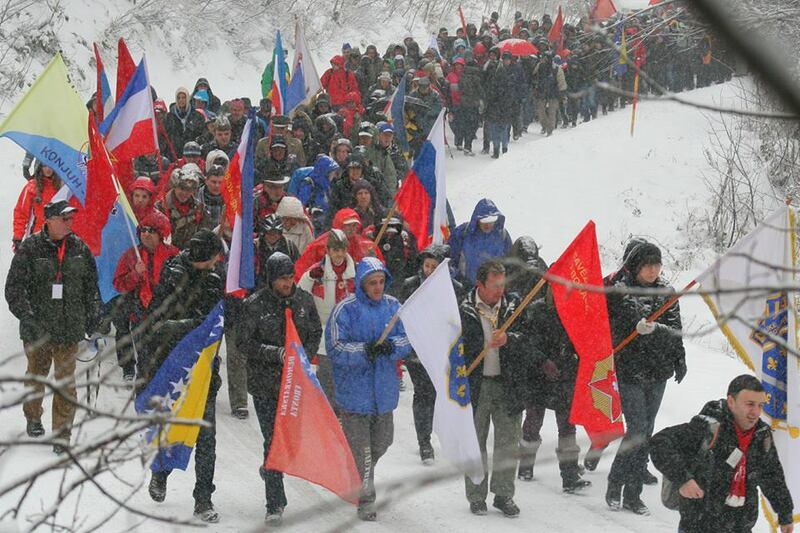 Today, a symbolic march to Igman is being held in memory of the success of the 1st Proletarian Brigade. Igman March ended on February 4th 1942, with the arrival of the soldiers of the 1st Proletarian Brigade to Foca. During the march, six soldiers have died and around 200 were frostily. Igman March became a legend because of the huge effort, sacrifice, determination, endurance, and discipline of the 1st Proletarian Brigade. It represents the epopee of the National Liberation War.